BRYAN EATON/Staff photo. 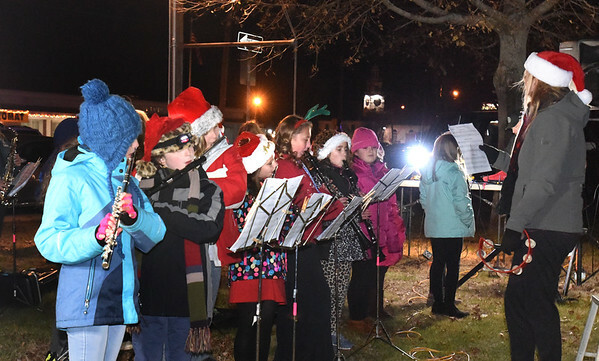 SMembers of the Salisbury Elementary School Band, play seasonal music in Salisbury Square on Sunday night before the lighting of the Christmas Tree. The Salisbury Historical Society's building was open for tours beforehand and for refreshments afterwards, provided by the East Parish United Methodist Church.